The British Columbia Ministry of Health in Canada launches an independent investigation (the second one in less than a year) into the Cerner-powered Island Health EHR – a $178 million system that has faced fierce physician criticism – including a return to paper-based records over patient safety concerns – at the two hospitals it has been deployed in. Ernst & Young will deliver a report outlining its costs, benefits, problems, and solutions later this fall. The report will likely determine the fate of IHealth, which was initially scheduled for province-wide deployment well before now. From Kiwi: “Re: Orion Health. You can notch Ian McCrae’s net worth down even further. Orion was down to about $4 million in cash as of March 31 of this year, and had to raise funds through sale of stock in July. Fifty percent of that money raised was from insiders, including about $11 million from McCrae. That was actual cash he had to pony up. Last year the company lost $24 million on declining revenue of $144 million. Coupled with the unhappiness of some key customers like CalIndex and things are not looking good in the US either. All figures are USD. Lots of folks in HIT seem to make the mistake of not converting NZD like the piece Mr. H ran on June 12 about the folks at HCIT 100 not doing the math or their Top 100 vendors.” Things can’t be all bad for the New Zealand-based company. As first reported by Iknowaguy, Singapore’s health technology agency signed a five-year contract with the company for deployment of a nationwide EHR powered by Orion Health’s Rhapsody Integration Engine. New poll to your right or here: Will you purchase the $1,000 iPhone X when it arrives in stores? If your answer is “yes,” I’d appreciate you telling HIStalk readers why you’re prepared to spend that kind of money on a smart phone. I’m sure there are folks out there who feel it’s justified, but I just can’t wrap my head – or my wallet – around it. 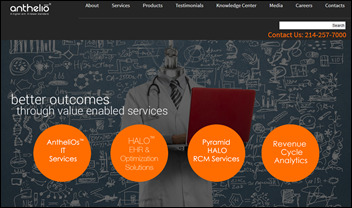 France-based consulting firm Atos acquires Anthelio Health Solutions for $275 million. Apple releases iOS 10, which includes HealthKit support for C-CDA, which will let patients download their medical records into HealthKit and share parts of that information with other apps. Appalachian Regional Healthcare brings the computer systems of its Kentucky and West Virginia hospitals, pharmacies, and clinics back online after nearly three weeks of downtime caused by an attack of unspecified malware. HHS provides $87 million to 1,310 safety net health centers for purchasing or upgrading EHRs. Massachusetts Eye and Ear Infirmary and its physician group pays HHS $1.5 million to settle potential HIPAA violations following the theft of a PHI-containing unencrypted laptop. CMS awards HP a $43 million task order to continue providing IT services for the EHR incentive program and for maintaining the Integrated Data Repository database. Nuance will purchase Ditech Networks, a provider of voice technologies and voice-to-text services, for $22.5 million. The Forbes 400 list of richest Americans includes Epic’s Judy Faulkner (#285 with a net worth of $1.7 billion) and Cerner’s Neal Patterson (#391 at $1.12 billion). Philips considers offering an EHR product in Europe. Demand pushes Athenahealth’s IPO price to over $35, making it the best first-day gain of 2007. Navicure and ZirMed agree to merge their RCM capabilities, operating under both brand names in the near term. Tenet Healthcare shares climb 13 percent following a Wall Street Journal report suggesting it is considering a sale of the company. Equifax suffers major fall out from a data breach that affected 143 million customers, including ransomware demands, class action lawsuits, and impending Congressional hearings. The American Red Cross announces plans to use a drone to assess damage and deliver aid in Houston following Hurricane Harvey. Hillcrest Henryetta Medical Center (OK) will switch from McKesson to Epic on Feb 28, 2018. Centra Health (VA) will switch from Sunquest to a Cerner laboratory information system by the end of this year. Shannon Health (TX) will switch from McKesson to Epic next month. 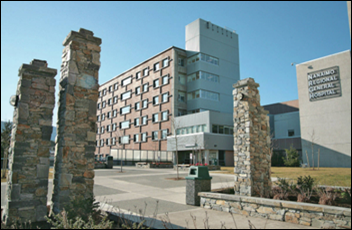 Potomac Valley Hospital (WV) will switch from Evident to Epic on October 1. 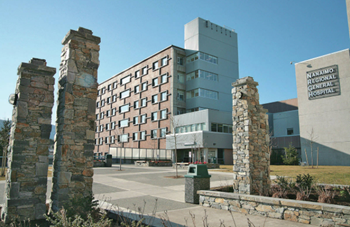 Westerly Hospital (RI) switched from McKesson to Epic in January. Allscripts will work with vendors, payers, and pharmacy benefit managers to aggregate and embed real-time prescription prices into prescribing workflows. In Canada, the initial phase of Alberta Health’s Community Information Integration Program goes live at a primary care clinic using Orion Health’s cloud service. This first stage will give over 50,000 PCPs across the province the ability to share health data via Alberta’s Netcare EHR, which leverages Orion Health portal technology. Curae Health selects Medhost’s Physician Experience and Perioperative Information Management System for implementation at two of its hospitals in Mississippi. 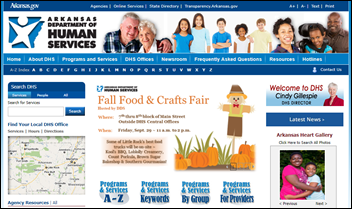 The Arkansas Department of Human Services discovers that a former employee mistakenly emailed spreadsheets with the Medicaid information of over 26,000 beneficiaries to her personal email address. The oversight was caught when attorneys for the department were preparing for a wrongful termination lawsuit later brought by the employee. The state hospital that hired her after she left DHS has fired her for her breach-related incompetence. Mayo Clinic (MN) rolls out its Ask Mayo Clinic symptom assessment tool to Epic MyChart users. A telemedicine study of 120 pediatric patients at Florida-based Nemours Children’s Health System’s sports medicine clinics finds that just one visit per year saved the health system $24 per patient. The virtual consults helped patients and their families save $50 in transportation costs and nearly an hour of waiting and visit time. Cigna’s “TV Doctors of America” return to encourage yearly physicals. Salesforce.org donates $12.2 million to San Francisco and Oakland school districts in support of computer science education. The SSI Group will exhibit at the 2017 HFMA Tri-State Fall Institute September 20 in Cincinnati. Surescripts will exhibit at the NASP Annual Meeting & Expo September 17-20 in Washington, DC. T-System and Wellsoft will exhibit at the 2017 National Association of Freestanding Emergency Centers Conference September 19-21 in Washington, DC. ZirMed will exhibit at the MedInformatix 2017 Annual User Group meeting September 19-22 in San Diego.